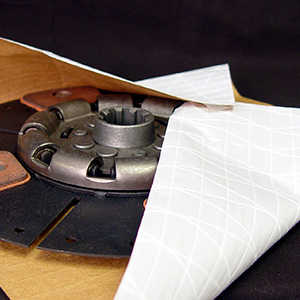 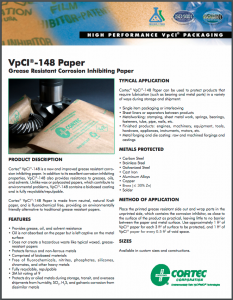 VpCI®-148 is an improved grease resistant corrosion inhibiting paper. 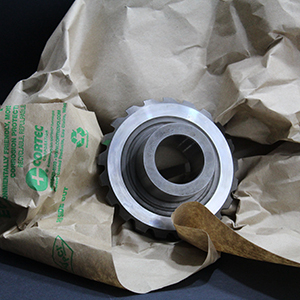 In addition to its excellent corrosion inhibiting properties, VpCI®-148 also provides resistance to greases, oils, and solvents. 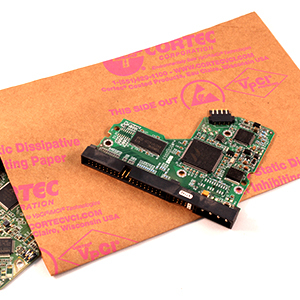 Unlike wax or polycoated papers, which contribute to environmental problems, VpCI®-148 contains a biobased barrier coating and is fully recyclable/repulpable. 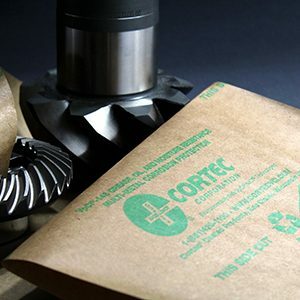 It is an excellent eco-friendly alternative to traditional grease resistant papers.